Краткое описание: Light Tracer is a Platform-Puzzler in which the Player is a godlike creature who has to guide a princess in despair up the enormous Tower of Bellbatis. Now featuring both Regular and PSVR Mode! 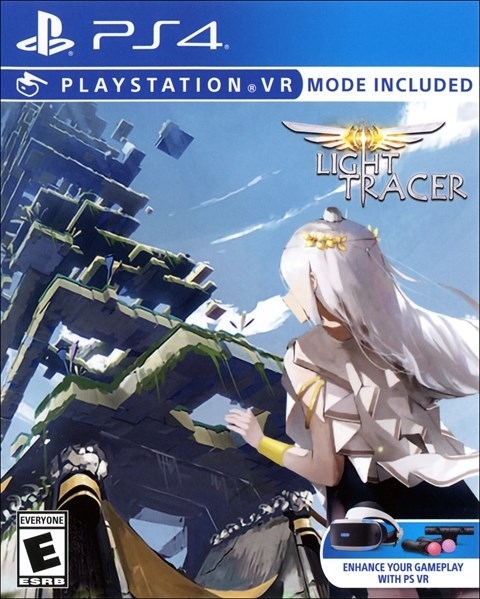 -A new genre for a new device, a novel and creative take on the popular genre which opens up a new gaming experience that’s clear from the moment the player takes up the PS VR®. -8 different chapters, 8 different worlds: from Gravity World to Mechanica World, from sliding the princess down icy steps to the final Angelic City. -Of Towers and Mysteries: A princess with a mission, the mysterious god-like player and a story with a twist! Light Tracer is a Platform-Puzzler in which the Player is a godlike creature who has to guide a princess in despair up the enormous Tower of Bellbatis. Now featuring both Regular and PSVR Mode! -Of Towers and Mysteries: A princess with a mission, the mysterious god-like player and a story with a twist!